Nassau County Executive Edward P. Mangano and Health Commissioner Dr. Lawrence Eisenstein today announced that the Department of Health’s Office of Minority Health has teamed up with Walgreens to offer free flu vaccinations. Hempstead, NY - September 24, 2015 - Nassau County Executive Edward P. Mangano and Health Commissioner Dr. Lawrence Eisenstein today announced that the Department of Health’s Office of Minority Health has teamed up with Walgreens to offer free flu vaccinations. The vaccination day will take place on Saturday, October 10th from noon to 5 p.m. at Kennedy Park, located at 335 Greenwich Street in Hempstead. Seasonal influenza, commonly called the “the flu,” is a contagious respiratory illness caused by influenza viruses that infect the respiratory tract, such as the nose, throat, and lungs. Unlike many other viral respiratory infections (such as the common cold), the flu can cause severe illness and life-threatening complications. County Executive Mangano and Health Commissioner Eisenstein remind residents to take everyday preventive actions to stop the spread of influenza and other germs. • Wash your hands often with soap and water. If soap and water is not available, use an alcohol-based hand rub. 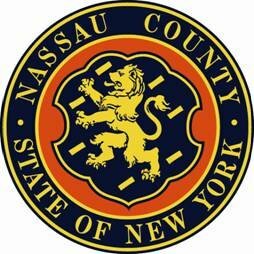 For addition information about the Kennedy Park Flu Vaccination Day, call the Nassau county Department of Health’s Office of Minority Health at (516) 227-9675. Mangano Proclaims Nicka K "Business Of The Month"
Subject: LongIsland.com - Your Name sent you Article details of "Mangano: Nassau County Department Of Health Partners With Walgreens To Offer Free Flu Shots"